I feel like parents should get their children vaccinated because it will benefit the health of others. By doing so, it can help the environment and the people that don't get vaccinated are at risk. No I don't think it is a wise choice for parents to opt out of getting their children vaccinated. 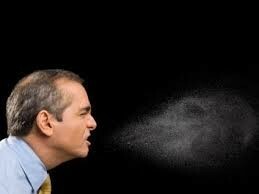 A sickness of disease starts in someone's family and slowly spreads through the air or by contact with other people. Before 1963, when the measles vaccine became available for public use in the U.S, there were more than 500,000 reported measles cases. On average, 432 cases resulted in death of people and young children. Infants less than a year old are most likely at risk because they aren't old enough to have received the first MMR dose. Measles vaccines has had many parents troubled. But without it, the child is at a higher risk for getting the virus, PLUS not being able to shoo-it-off. But not just small children are affected but the nation too .People get infected and touch stuff that the next person touches, and then the next and the next and so on. Another issue is that religious beliefs, and personal exemptions block parents from getting the vaccine; along with other people. "It is kind of a scary thinking about all the things going into your perfect newborn. I wasn't comfortable giving 5 to 6 shots at a time to my tiny baby..." Allison from California Post said. Children in situations like this are exposed to more harmful diseases. The vaccine is meant to block you, [basically] preventing your body from getting the disease again. In San Francisco, where almost 40% of children in the local elementary school have not been vaccinated against measles. Which infects the other 60%. Only 1.5% to 2% of children are not vaccinated, a larger portion are on a delayed schedule. A mother tried to give her daughter two vaccines at a time, given a consultation with her pediatricians. Our first amendment allows us (as a nation) to have the freedom of speech, assembly, petition, and religious freedom. 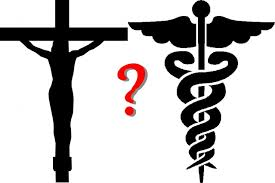 Eighteen states have religious exemptions-reflecting our 1st amendment right. Vaccines are recommended by the government. But not every one takes a measles vaccine. 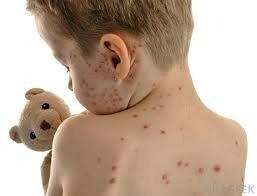 Measles has had many parents not want to risk it for the health of their child. But without it, the child it at a higher risk for getting the virus plus, not being able to shoo-it-away. But it is not just children and parents being infected it is also the nation. People get infected, and touch stuff that the next person touches and the next and then the next, and etc. So with this said Measles is airborne. It likes to hide, but stays in the air for a little over two hours. Measles is a dangerous disease, and it means business.